Last week, after Michael Dell won his bid to take his company private, he talked about being an arms dealer to cloud providers. Yes, Dell, like rival Hewlett-Packard(s hpq) and other hardware players, wants to provide the horsepower to run massive clouds, but it also wants to offer private and public cloud services that run atop all that hardware — and that, yes, will compete with AWS. Dell is offering three flavors of public cloud from partners Joyent, a battle-tested proprietary cloud used by large telcos; Zerolag, a VMware(s vmw)-based cloud; and Scalematrix which is strong in small and medium sized companies. At the same time, it’s pushing its its own OpenStack-based cloud technology for what it sees as its bread-and-butter private cloud business. Dell will rely on Enstratius, acquired last May, to provide multi-cloud management across all those clouds. Still, you have to ask why a company Dell’s size relies on partners for its public cloud infrastructure while HP, Red Hat, IBM, and the rest of the known IT universe want their own branded public clouds. The reason, says Nnamdi Orakwue, VP of Dell’s Software Group, is people want choice. “Customers are afraid of lock-in — they’ve had that experience. I won’t name any names but there are cloud or virtualization platforms that lock them in and have tricky pricing [that makes it] hard to leave,” Orakwue said in an interview. 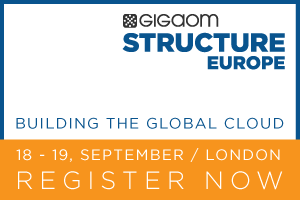 I’ll be sure to ask Orakwue more about Dell’s multi-cloud worldview this week at Structure:Europe in London. A multi-cloud option may provide a “nursery” for customers figuring things out prior to migrating their workload to AWS. At worst such a solution serves IT by providing a centrally managed control center, much like a harness some parents employ with small children. At best, such a solution could be leveraged to optimize the choice of where to place a given workload. Dell will need to inject a high dose of amphetamine into this solution to wake it up from the sleepy pace of delivery of platform capabilities. Best case scenario, now that the founders have cashed in their chips they will go all in with Dell’s funding and deliver on their dreams. No real big customers use Dell and have not for a long time, why pay Dell’s markup when you are buying in large enough customers to go the Dell’s suppliers directly? Dell built their suppliers and commoditized the market, and their customers and suppliers cut them out of the market. There is no place for the Dell value add – they rode the wintel market to volumes with minimal profits and they have no idea with real product development is. I’m not going to argue the bulk of your comment, but the last paragraph shows a complete lack of understanding. Thanks for letting us know what you think. Should title read “Dell mantra: one cloud, *including* Amazonâ€™s, doesnâ€™t fit all”?